Muse Research will launch in April a new version of its Receptor VIP hardware plug-in host and player. Muse Research announce the availability of its newest Receptor hardware plug-in hosts, that ship with a PreSonus audio interface. Muse Research announces the availability of two new versions of their Receptor plug-in hosts hardware, respectively the Receptor Trio and Qu4ttro. Muse has announced that the Mixosaurus drum library is now available for purchase with a Receptor 2+ Pro and Pro Max. Muse Research and Development is debuting a new Receptor called Receptor VIP (Virtual Instrument Player). Muse Research & Development has announced that its RECEPTOR 2 line of Hardware Plug-in Players has been upgraded. Muse Research and Development has announced that the Receptor 2 series of Hardware VST Plug-in Players now run Native Instrument's recently released Komplete 7 collection of virtual instruments and effects. 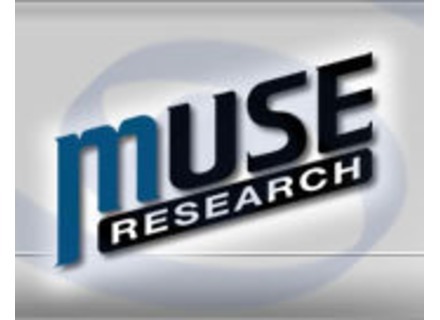 Muse Research has released version 1.8.20100924 of the System Software for the Receptor 2 Hardware Plug-in Player.